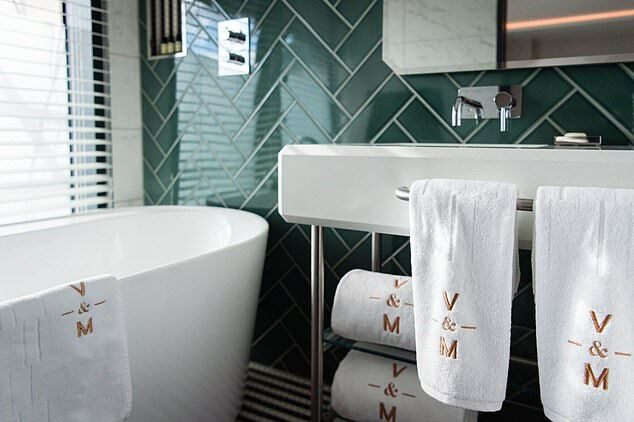 Luxury boutique retreat Vintry & Mercer Hotel in Vintry Ward is located in the heart of London’s banking district, not far from the banks of the Thames. Nestled among historic livery halls, guilds and ancient streets, but surrounded by global powerhouses, the hotel is a melting pot of the past and present. A tropical green entrance gives way to a hint of Art Deco. Old traditions of trade and commerce come to life in the contemporary style of the hotel’s 92 bespoke rooms and suites. Plush velvet curtains, leather door handles, historic navigation maps, needle-and-thread wall-coverings and custom-made velvet headboards are elegant reminders of the past, alongside modern luxuries and amenities. 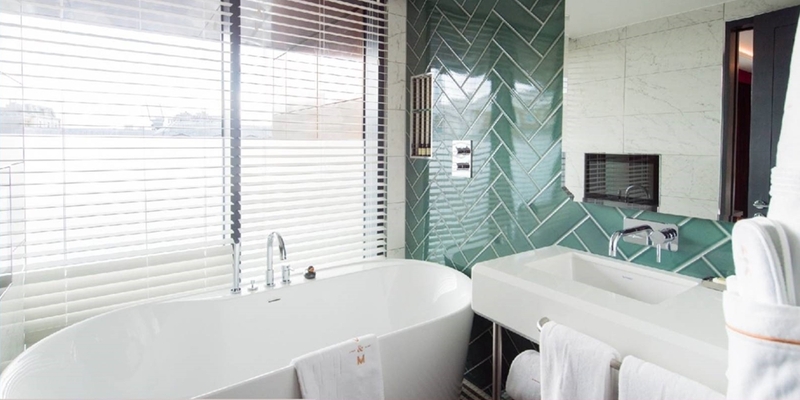 Turquoise tiled bathrooms add to the charming mix of old and new. BAGNODESIGN was selected to supply high quality brassware, sanitaryware and accessories that ensure modern functionality while blending in with the hotel’s unique design concept. The wonderfully deep ‘Urban’ bath tub with pull-out shower and handy drinks ledge promises a relaxing reprieve from the bustling city. Guests may choose to drench away the day with BAGNODESIGN’s M-Line overhead rain shower. A report in The Evening Standard London newspaper mentioned that ‘the turquoise tiled bathrooms are an interior influencer’s dream’. 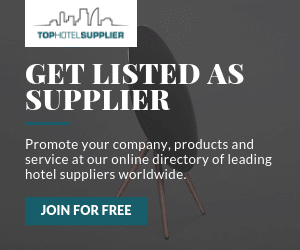 SANIPEX UK was established in 1995 to provide high quality bathroom and plumbing products to the Middle East markets, complemented by professional support and service.